Brother Inkjet Printers Customer Support number – The Customers who have issues with Brother Inkjet Printers can register their complaints to the following customer support numbers. The Lines will operate from Monday to Friday between 9 a.m. to 6 p.m. and on saturday between 10 a.m. to 5 p.m.Closed on all Sundays and Public Holidays . to repair it. where is its service center. 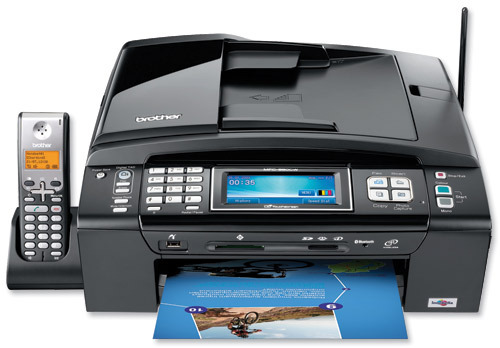 I was purchased brother MFC J 430W all in one printer on dated 31.10.2012, bill no. M 02060.after four months. I faced so many problems.My printer was not connecting wireless with my laptop and mobile phone software.And right now black ink is not detecting.I have complained so many times to my dealer but no action was taken. please take action urgently. I bought a Brother Printer in Nov 2011 Model DCP 125. At that time dealer and Marketing Executive suggested that this printer is more economical when it will be used. The SIS tank was provided by marketing Executive. But on date 7 Sept 2012 my printer’s ink absorber showed full. Then I went at the Brother’s service centre which is at varanasi (about 95 kms from my hometown)with the printer. They suggested to buy a new SIS tank. After buying this SIS tank and installing in the printer it totally stopped working. I was totally dependent on the printer because my business is totally on the printer. I suffered a severe loss in my business because of delay and not functioning of the dealer. After this I contacted U.P head Mr. Sanju and he instructed to Mr. Gaurav Pathak (Remote Computer Care)to solve the problem But they both cheated with me. They changed the printer head at a rate of Rs. 4500/- in warranty period. I went 4 times to service centre and many times contacted to both. I want them to replace the printer or repaired because marketing Executive of Brother Printer and dealer mislead me and harassed several times forced me to face several problems. i am using brother make printer model m240c. since few years i am trying to locate a local repairer in my city (vadodara, gujarat). this printer is right now not in a situation to get intialize i mean it is not working. kindly suggest the nearest repair centre in my city or state. awaiting for your reply as early as possible.